Too long................still a long way to wait!!!! Next year February 11 only in theater. 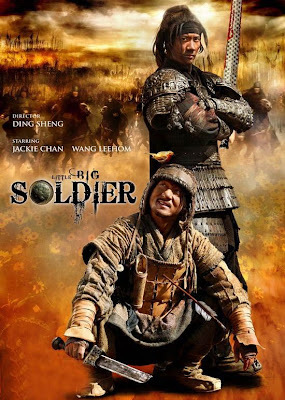 Last April when leehom present the concert campaign at Solaris Mont Kiara had mention bout this movie. The 'latest' movie for Jackie Chan i watched is Forbidden Kingdom , for leehom is the 'old grandma' story Street Fighter. And now both of them in the same movie is quite new and fresh angle to watch. Although i am less watching Chinese movie in theater but this one is must for me and i really can't wait any longer.